In the history of film, there are a few names that are treated with respect and even reverence. One of those names is the great Swedish director, Ingmar Bergman. Bergman’s legacy is integrally tied to the art of cinema itself and will not be undone for any length of time imaginable. The Phantom Carriage is the reason that Ingmar Bergman began making films in the first place. If this were the only legacy of The Phantom Carriage its very existence is justified. Victor Sjöström, the star and director of The Phantom Carriage, while not as prominent today as Bergman, stands as one of the all time great cinema figures, both as a director and actor. Death arrives on a ghastly carriage drawn by the skeleton of a horse and appears to a drunkard and forces the man to reflect on his wretched past. While it is a rare occurrence, one occasionally comes across a story that can only be told through the magic of cinema. There are many stories that are aided by what film can offer, but few that seem to require film in order to be told at all. The Phantom Carriage is a film that not only requires cinema as an art form to truly be expressed, but requires silent cinema to maximize its effectiveness. The Phantom Carriage reminds one of the ghostly stories of Dickens, mixed with the brilliant storytelling devices of It’s A Wonderful Life, combined with a bit of Bergman’s honesty, and add a dash of Chaplin’s heart. 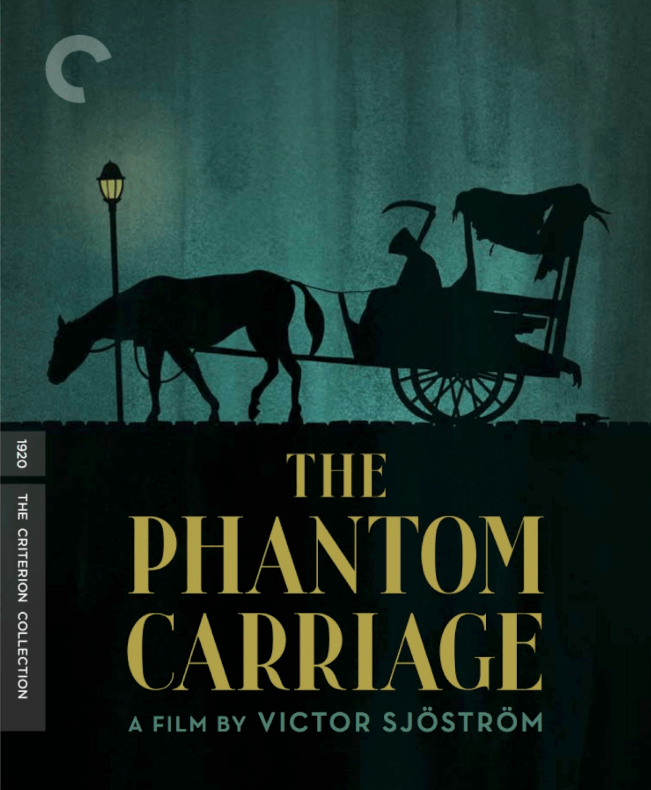 Bergman referenced not only director Victor Sjöström as a primary influence but specifically The Phantom Carriage as one of the primary reasons he began making films. I have been a lover and participant of music since I was 13. I remember when I first started learning I would continuously seek find someone, anyone willing to play guitar with me. I was interested in physically seeing what it looked like to play for real so that I could have something to try and emulate. What I found very early on is that some people are happy to come alongside you and help you learn while others treat you as a burden and inconvenience. A common trait for those that were willing to come alongside was that they were very often far superior musicians than those who were less patient and considerate. Soon it became apparent that in order to become a great musician, one thing to emulate was the simultaneous attitude of both a confident teacher and an eager student. The best musicians I have ever known were teachers. They would read on my face a question and call it out of me so that they could seek to answer it with excitement and patience. They were always the first to admit, however, that they didn’t know very much about music, in general. A common theme among these musicians was the idea that the more they learned, the more they knew how little they knew. This was, for them, both slightly depressing and exhilarating all at the same time. It appears to me from my current vantage point that maturity comes about with the knowledge of a lack of knowledge. For the immature individual, this revelation is so disheartening that they either escape into a denial, which often appears like a strong self confidence, or become greatly depressed at the revelation of their own inadequacy. This is the point where one would be tempted to put the guitar down and walk away to something less exposing, like a “real job.” For the mature individual, however, this revelation can be exhilarating. When approached from the proper perspective, finding out that your accomplishments and knowledge are only beginning to scratch the surface means that this rabbit hole is far deeper than you could’ve thought possible. That means that bigger, greater, more exciting revelations are ahead! The more you know the less you know. The more you learn the more you’re unaware, and can help others become equally wise, and unaware. 1. Given the chance to see the outcome of my poor decisions, what would I do differently starting today? 2. What feelings arise out of you upon seeing Death personified in the film? 3. While it’s easy to point at things like alcohol as the primary culprit of Holm’s demise, what do you think is really causing his use of substances as a coping mechanism? 4. What is the scariest thing in The Phantom Carriage to you? Why? 5. What is the most hopeful or beautiful thing to you in The Phantom Carriage? Why? 6. Is Death a villain in this story? Is he a hero? 7. In Luke 1:79-80, does the prophecy about John the Baptist sound like the role of Death in The Phantom Carriage?